Make good on your New Year’s running resolution by taking part in the Joe Kleinerman 10K! Kleinerman, a founding member of NYRR, the longtime coach of the Millrose Athletic Association, and a beloved NYRR employee until his death in 2003 at age 91, was a true competitor. Take on the challenge of this chilly 10K through beautiful Central Park. The course is slightly more than one lap of Central Park’s six-mile loop. Mile 1: Start on East Drive just south of the 102nd Street Transverse and head north around the northern end of the park through the Harlem Hills, then south on West Drive. Mile 2: Continue through a series of three rolling hills as you pass the Reservoir on your left. Mile 3: Enjoy a welcome downhill, followed by a flat section. Mile 4: Pass the 72nd Street Transverse and climb a small hill to the TCS New York City Marathon finish line. Continue south around the bottom of the park and onto East Drive. Mile 5: Pass the 72nd Street Transverse and continue north. Ascend Cat Hill and pass the Metropolitan Museum of Art on your right. Mile 6: Pass Engineers' Gate (East 90th Street) and continue north. Shortly after the six-mile mark, turn left onto the 102nd Street Transverse and continue to the finish. 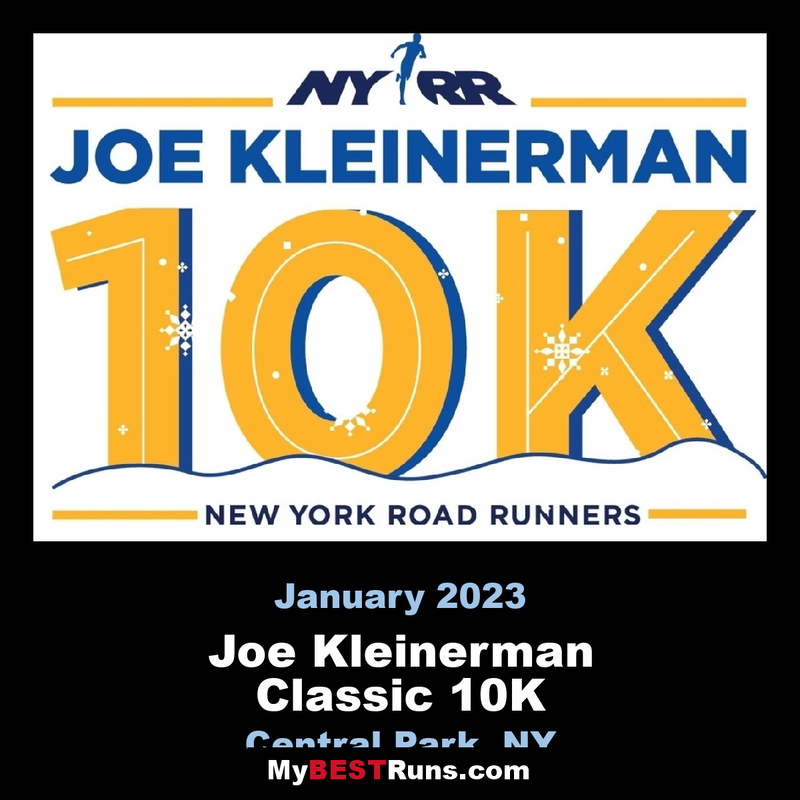 Bracing temps and a dusting of snow greeted runners at the NYRR Joe Kleinerman 10K, the first New York Road Runners race of 2017 and an opportunity to make good on a promise to #ResolveToRunin the new year. Joe Kleinerman, a founding member of NYRR who passed away in 2003 at age 91, was a dedicated runner and longtime coach of Millrose Athletic Association. Everyone who ran today kept Kleinerman’s spirit alive with their 6.2 miles in Central Park, as $1 of each entry fee went to a scholarship fund in Kleinerman’s name. 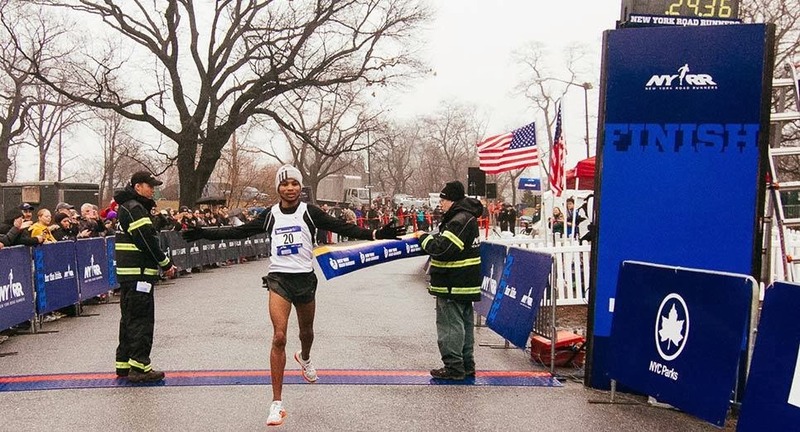 Teshome Mekonen was way out in front as the men’s champion in a time of 30:23, followed by Panuel Mkungo in second place (31:03) and Eric Ojeda in third (31:38). 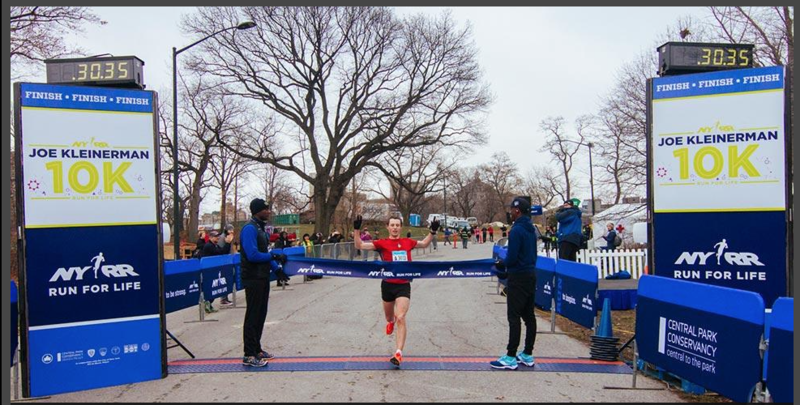 Among the women, Kate Pallardy of the Central Park Track Club New Balance also had a sizable win; her time of 35:31 bested runner-up Belaynesh Fikadu (36:06) and third-place Caroline Lefrak (36:14). New York Road Runners invites you to #ResolveToRunwith us throughout the winter racing season! Join us at an upcoming race,or check out our great training programsand free youth running programsto get your whole family fit in the new year.